After our tour of the chapel, we crossed the courtyard to walk into the main entrance of the house. 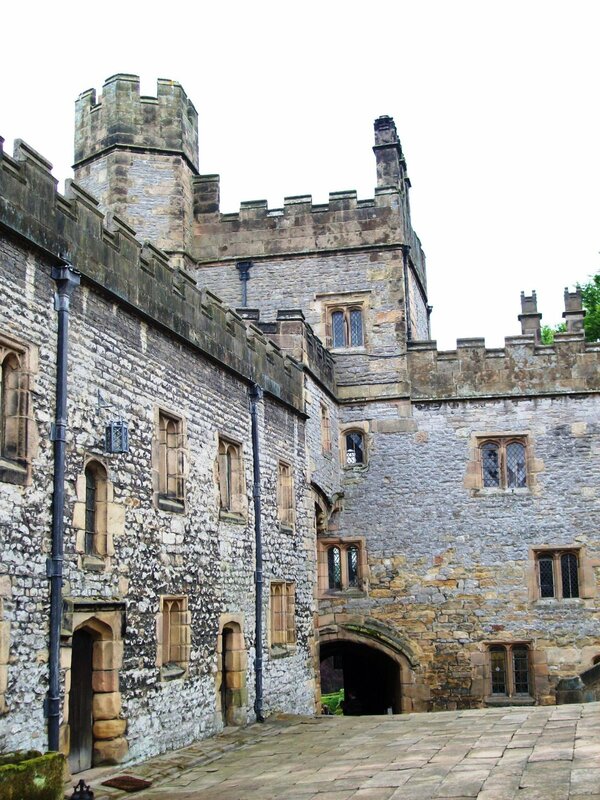 On the far side of the courtyard, in this picture, one can see the passageway we walked through to enter Haddon Hall. We walked through a small archway, ascended a flight of stairs, and entered the courtyard.